Most of the time I’m sharing rocking sweat sessions with you. I want you to relax too. 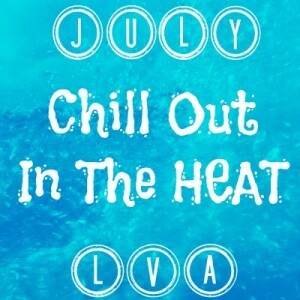 When you don’t wanna sweat and you feel like chillin’ in the heat, this mix is perfect. Rock this mix by laying out at the pool (with lotsa sunblock), hangin’ with your friends, or taking a nice Sunday drive down the drag in your neighborhood. There’s some awesome songs here for you to lay back and enjoy…preferably in a hammock with no worries of algebra assignments, social study papers, or english essays. That’ll come soon enough, for now…chill in the heat.